What a great follow up to SXSW week. 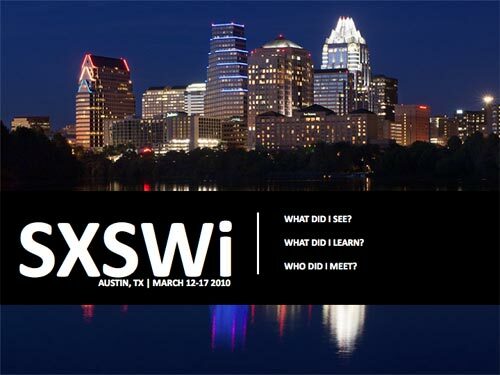 Jeff Reckseidler, Vice-President, Director of Engagement strategy at Taylor West submitted this slide deck that gives a visual synopsis of the things he learned and the people he met at SXSW 2010. Thank you so much for including me in this incredible presentation. Some amazing words from amazing people!